Hadi Ghasemi is Bill D. Cook assistant professor in the department of mechanical engineering at the university of Houston. He was a Postdoctoral Associate at MIT between 2012-2014. He graduated from University of Toronto in 2011 with a PhD degree in mechanical engineering. His research interests are in thermodyanmics, heat transfer, and nanotechnology. 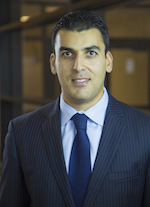 Peyman Irajizad is currently a PhD student in the department of mechanical engineering at University of Houston. 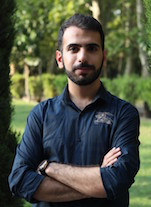 Peyman was a double major undergraduate student of Aerospace Engineering and Physics at Sharif University of Technology with overall GPA 3.98 out of 4 in B. Sc. He has published 2 papers in the journals of ''shock and vibration'' and ''Physical Review E'' (highlighted in the Science magazine), 6 papers in international conferences, and owns 3 patents. 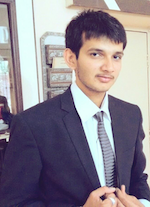 Varun Kashyap is currently a PhD student in the department of mechanical engineering at University of Houston. He holds a bachelors degree in Mechanical Engineering from Visvesvaraya Technological University (India). 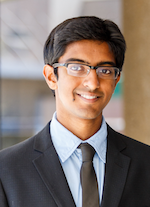 Varun is a recipient of INSPIRE scholarship from the Government of Karnataka (India).He was involved with research in Indian Institute of Science (IISc) where he designed and developed an engine for rooftop power generation using solar energy. He holds experience in design and CFD analysis. His interests are in solar based research and effects of heat transfer on solar efficiency. Parham Jafari Parham is currently a PhD student in the department of mechanical engineering at the University of Houston. He received his B.S. degree in Mechanical Engineering from Sharif University of Technology, He was awarded Bronze medal in the 23th nationwide Physics Olympiad in Iran (2010). His research interests involve Nano-scale heat transfer at liquid-vapor interfaces, solar-thermal energy harvesting and microfluidic. 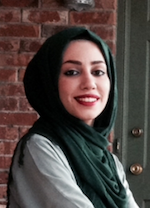 Mojdeh Nazari is currently a PhD student in the department of mechanical engineering at University of Houston. She graduated from Qazvin International University in the field of Ceramic Engineering in 2010 and then received her MSc degree from Iran University of Science and Technology in 2013. She conducted resaerch and published in the field of Superlattices. Her interests include materials science, materials characterization, and surface physics. 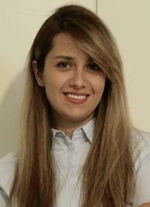 Bahareh Eslami is currently a PhD student in the Department of Mechanical Engineering at University of Houston. She obtained her BS (2014) and MS (2016) degrees in Mechanical Engineering from Ferdowsi University of Mashhad and University of Houston, respectively. 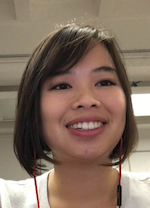 Her MS research on non-isothermal buoyancy-driven exchange flows in inclined pipes was published in Physics of Fluids Journal. Her research interests include interfacial phenomena, nanoscale thermal transport and microfluidics. Sina Nazifi is currently a PhD student in the department of mechanical engineering at the University of Houston. He received his B.S. degree in Aerospace Engineering from Sharif University of Technology. He was a member of ShadX team which awarded 3rd place for AIAA aircraft design graduate competition 2018. Also, he has published a paper in Journal of Lasers in Medical Sciences during his undergraduate study. His research interests are Nanotechnology and Thermodynamics. 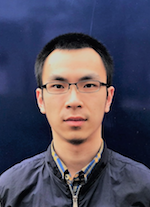 Zixu Huang is currently a Ph.D. student in the Department of Mechanical Engineering at University of Houston. He received his B.S. degree in Composite Materials and Engineering from East China University of Science and Technology and M.Sc. degree in Polymer Engineering from University of Akron in 2018. His research interests include polymer synthesis, composite materials characterization, and surface physics. 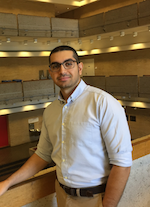 Abdullah Al-Bayati is currently an undergraduate student in the department of mechanical engineering at the University of Houston. 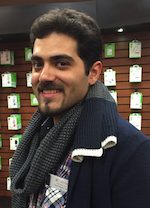 Abdullah Also studied Electrical Engineering in Baghdad/Iraq and was awarded first place for his junior year project. Due to his high academic standing Abdullah was awarded an internship with Ayam for Engineering and Energy Solutions. 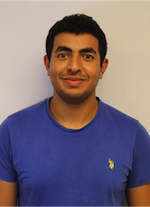 Abdullah is currently conducting research for Nanotherm group at the University of Houston. 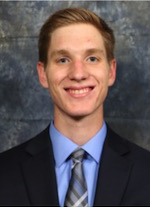 Matt Gorman is an undergraduate student in the department of Mechanical Engineering at the University of Houston. Matt is a member of the Honors College and has received numerous scholarships, including the Tier One Scholarship. His research interests include Nanotechnology and localized heat transfer. Nazanin Farokhnia graduated with MSc and PhD degrees in mechanical engineering at University of Houston in 2018. She completed her poctdoc at Weill Cornell Medicine, Cornell University. Nazanin received BSc degree in Aerospace Engineering at Sharif University of Technology in 2014. She is currently a principal scientist at Intel. 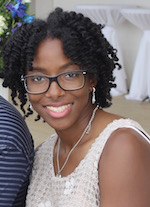 Adjele Wilson is an undergraduate student at the University of Maryland Eastern Shore. She is pursuing Bachelor's of Science degree in Biology with hopes of continuing my education as a Biostatistics major on a graduate level. She has 2 years of research experience in the field of coastal ecosystems. During the spring 2018 semester, she took part in conducting research on the dynamics of zooplankton communities in Maryland Coastal Bays. She is a Richard A. Henson honors member and scholarship recipient. 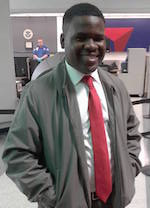 Habilou Ouro-Koura is currently a senior student at the University of Maryland Eastern Shore (UMES). He is majoring in engineering with a mechanical concentration. He graduated with an Associate of Science degree in Mechanical Engineering (2016) from Montgomery College, MD. He grew interest in conducting research and is actively involved in undergraduate research. He is a member of the LSAMP (Louis Stokes Alliances for Minority Participation). His research interests embrace microfluidics and robotics at UMES. Tochi Chukwu is currently a graduating Mechanical Engineering student at the University of Maryland Eastern Shore. 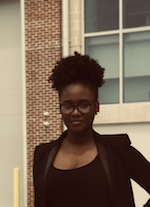 Tochi is currently an ambassador for Advancing Minorities in Engineering, a collegiate member of the Society of Women Engineers (SWE) and UMES chapter secretary of the National Society of Black Engineers(NSBE). She has been involved in multiple projects at the university of Maryland and her research interests are in Nanotechnology and heat transfer. 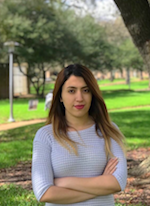 She is currently doing research on Nanofabrication at the University of Houston and plans to hopefully continue research on nanofabrication in graduate school next year. Tilal Elkarim is a rising junior majoring in mechanical engineering at the University of Maryland Eastern Shore. During his first year attending UMES, Tilal has been actively involved in volunteering activities. Due to his high academic performance, Tilal was recognized by The Richard A. Henson Honors Program, awarding him a scholarship. As a way to further expand his knowledge, He engaged in research on resistance switching & memristive hysteresis, working alongside his physics professor. His interest in nanoscale heat transfer & nano-electromechanical systems, has been the reason why he chose a research internship in nano-fabrication at the University of Houston for summer 2018. Corrinne D Cassel is an undergraduate student at the University of Texas at Austin pursing a Chemical Engineering Degree. Her interests includes process engineering and materials. She is currently Vice President of the UT chapter of the National Society of Black Engineers (NSBE) and has won the NSBE Region V Community Enrichment Award. She is currently in a REU program at University of Houston. She has high hopes for future. Sahil Ray graduated with MSc in mechanical engineering at the University of Houston. Sahil received his bachelor’s degree in mechanical engineering from Gujarat Technological University with a 3.9 GPA in 2015. His research interests include mechanical design and thermal studies. Seyed Mohammad Sajadi graduated with a M.Sc. degree in mechanical engineering at the University of Houston. 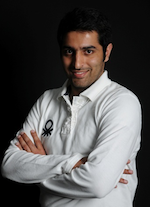 Mohammad received his BSc degree in Mechanical Engineering from University of Tehran in 2011. He was the Head of Design and Manufacturing of ''SIBARO'', the two-passenger electric car which was one of the top inventions of 2009. His interests are in experimental research. 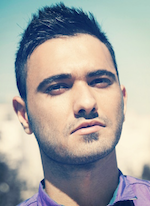 He has research experience in optimization, data mining and SOM. His current research was on evaporation in small scale. Carlin Ashford is a non-graduating senior at Fayetteville State University with a major in Chemistry and minor in material science. He was born December 5th 1997 and raised in Fayetteville North Carolina. He always been a proactive student by joining various clubs, extracurricular activities, being a great leader, and maintaining good grades. He currently is Vice President of both FSU’s BIO-PHI-CHEM Rotoract Club and Material Research Society. This summer he is conducting research with graduate student Varun Kashyap and research mentor Hadi Ghasemi on project focuses on heat localization and finding more efficient materials for the process. Tam Nguyen graduated in May 2017 with a Honor BSc degree in the department of mechanical engineering at the University of Houston (UH). 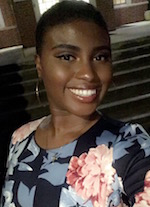 With excellent performance in her classes and extra-curricular activities, she was selected to be the only OUTSTANDING JUNIOR of the Cullen College of Engineering (UH). James Russ is an undergraduate student in the department of mechanical engineering at the Honors College of the University of Houston. 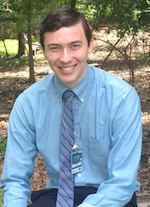 James was a Society of Petroleum Engineers Gulf Coast Scholar, and participated in an internship at the Department of Energy headquarters in Washington, D.C. In his free time, he helped to lead an SAT mentorship program for low income students at the nearby Cesar Chavez High School. 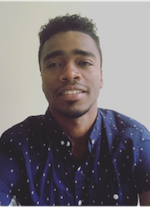 James received the PURS scholarship to do research in the Nanotherm group for the Fall 2016. 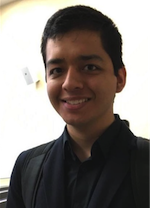 Fernando Rodriguez is an undergraduate student in the department of mechanical engineering at the University of Houston and a member of the honors college. 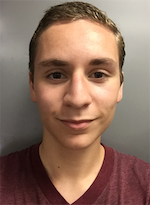 Due to his outreach to local high schools and excellent grades, Fernando was awarded the Outstanding First Year Honors award, an award given to only 15 students out of hundreds. Fernando will be doing research with Nanotherm group at the University of Houston Fall 2016. 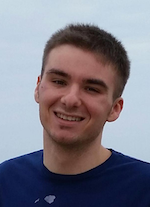 Kevin Svetlitski was a senior at The Academy of Science and Technology at College Park. Kevin was major in computer Science and minor in mathematics. He received 1st place in the Energy and Transportation category at the Science and Engineering Fair of Houston and 3rd place in the Energy: Physical category at the Texas State Science and Engineering fair for his independent research on concentrating solar power systems. He will move to MIT for his college studies. Shadi Shariatnia graduated in December 2016 with a M.Sc. degree in mechanical engineering. 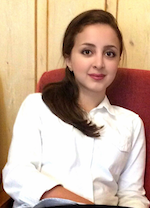 Shadi obtained her bachelor in mechanical engineering from Ferdowsi University of Mashhad on 2014. She conducted research on double-diffusion in dispalcemnet flows. She will start her PhD studies in Virgina Tech soon. Munib Hasnain was an undergraduate student in the department of mechanical engineering at the University of Houston. Due to high academic standing and leadership, awarded BP Scholarship by department of mechanical engineering, as well as put on the Dean's List for two consecutive years. 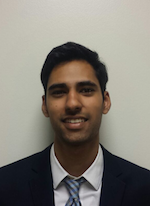 Also, Munib was a Tau Beta Pi Officer for Fall 2015. Munib finished his honor thesis in Nanotherm group. Luiz Felipe Rolim was a undergraduate student in the department of mechanical engineering at Federal University of Technology-Parana, Brazil. 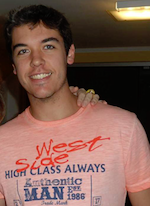 Luiz was accepted to join a Brazilian government program called Science Without Borders, and because of that he won a scholarship to study his major in the United States of America. For the summer of 2015, he conducted research In the Nanotherm group at University of Houston. Michael Tobia was a senior undergraduate in the department of mechanical engineering at the University of Houston. He conducted research for his honor thesis on remote manipulation of fluid flow with light. 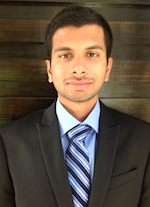 Abhilash Puli was a master student in the department of mechanical engineering at University of Houston. He holds a B.Sc. degree in mechanical engineering from Jawaharlal Nehru Technological University, India. He was awarded a gold medal from the University for his outstanding performance in academics and research contribution in the field of renewable energy processing.